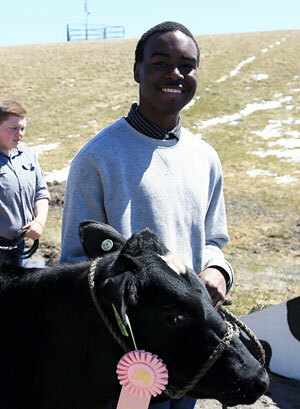 Morrisville State College student Unique Wellington chose a cow he named “Heffy” for his first time presenting in the ring. 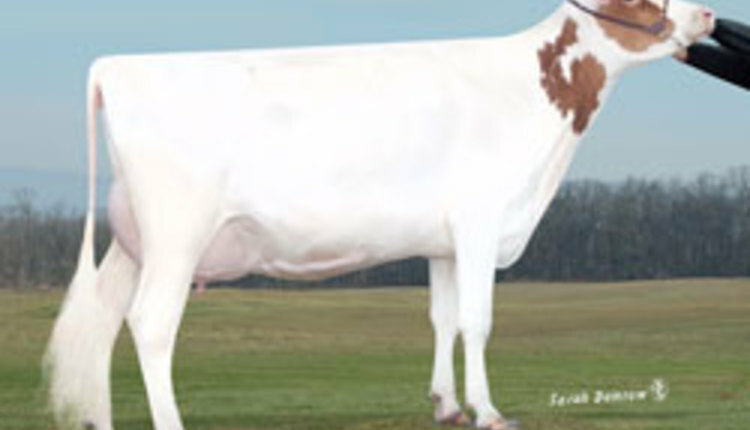 “She was the friendliest of the group,” he said of the heifer he showed during the college’s Spring Showmanship event. 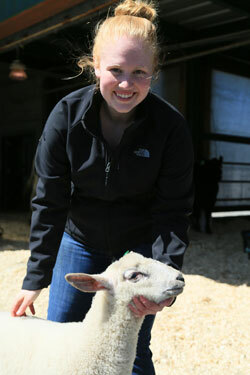 Approximately 60 students, some skilled and others with no experience, showed lambs, dairy cows and beef cattle during the annual event. “I just wanted the experience of competing,” said Wellington, a 19-year-old student from Nanuet, located in Rockland County. Wellington, who made the switch from city life to Morrisville to follow his dream of becoming a dairy breeder, had only seen a cow once prior to enrolling in Morrisville’s animal science - dairy program. He hid his first-time jitters by focusing on the judges and making sure Heffy’s foot placement was proper. He took fourth place in the Novice Dairy event, just missing a chance to compete in the finals. Natalie Strub, a veteran dairy and beef cattle showman, was working with sheep for the first time in nearly a decade. She had full confidence in a three-month-old lamb, “Enrique.” “I think he will do well. He knows what he is supposed to do,” she said prior to competing. Strub, a dairy management student from North Collins, took the day’s top spot as master showman, also earning Grand Experienced Showman for Beef, and Reserve Showman for Dairy. Strub, who spends her summers showing at the Erie County Fair, has been in the ring since she was 8 years old, and placed third overall with a steer named “Moon” when she was only 9. 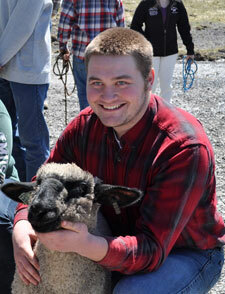 Logan Scott, an agricultural business student from Hannibal, was a newcomer with sheep. “I did it to learn something new. I definitely know I need more practice,” he said as he stepped out of the ring. Judging this year’s event were two Morrisville alumni: Tristan Peterson, a 2015 graduate, now working for Farm Audit East Crop Insurance; and Duncan Bailey, Northeast sales team leader for Alta Genetics USA. Both graduated with bachelor’s degrees in agricultural business development. Morrisville State College’s curricula are enriched with applied learning and pave the way for opportunity at both the Morrisville and Norwich campuses. An action-oriented, interactive learning lab, the college is a national leader in technology and has been lauded for its exemplary, innovative and effective community service programs. The college was ranked among the Best Regional Colleges in the North by U.S. News and World Report Best Colleges 2018 issue and was also recognized in the Top Public Schools, Regional Colleges North in the 2018 Best Colleges rankings. For more information about Morrisville State College, visit www.morrisville.edu.